Anyway, the list is all set now! So, that’s exciting. It’s a strong week for two of the world’s most famous superheroes, with both Superman and Batman landing titles among my favorites. 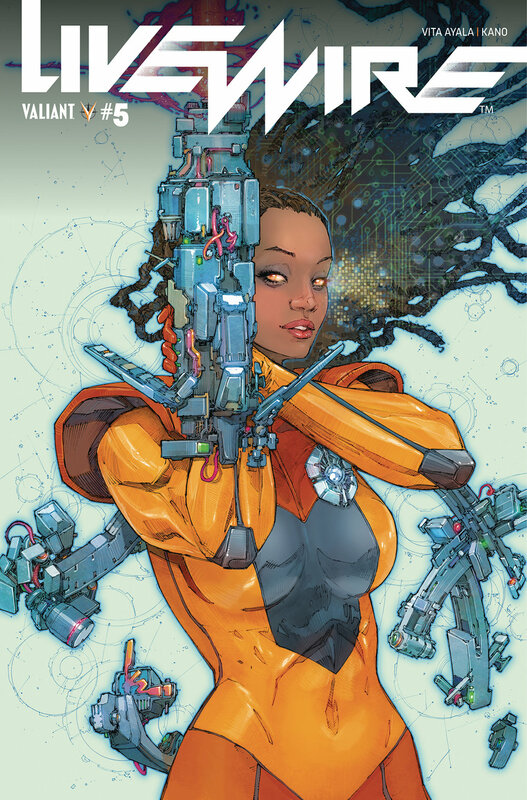 Meanwhile, despite a change in art teams, Livewire remains a strong third party entry from Valiant, and Infinite Dark returns for a new arc, dragging forlorn readers back into one of the most cerebral sci-fi/horror psychological stories in all of comics. Why It’s Cool: Infinite Dark is one of the smartest and most cerebral comics on the stands today, and now it’s back for a second ark, brining, of course, even more darkness. I’m obviously not going to spoil anything here (and this was in the solicit text), but this book takes a turn at the start of this new arc, with the threat becoming more about the people on the survival vessel rather than an existential manifestation of entropy. The story is so well told that I came away wondering whether that hadn't been the case all along. Also? 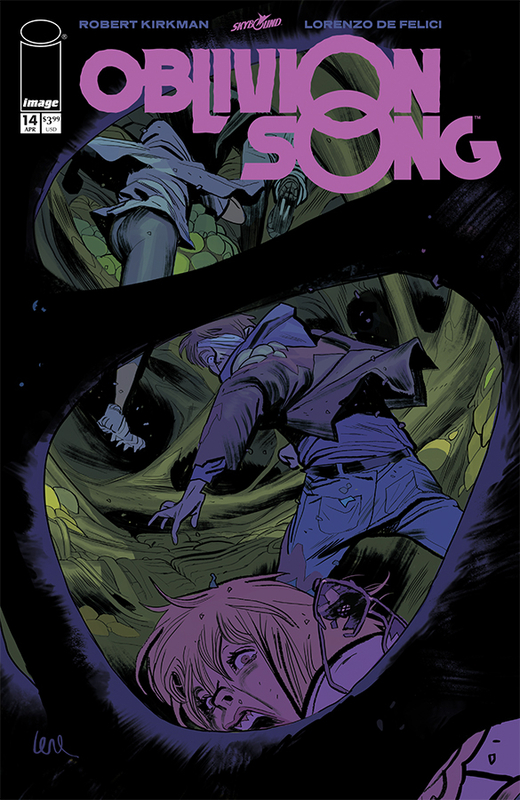 The new Nick Robles cover on this one is so so so good. I highly recommend this book. If you’re already reading, carry on. If not, grab the first trade and the new issue on Wednesday. It’s well worth it. Why It’s Cool: Throughout Peter J. Tomasi’s still-young run on Detective Comics (now with a new logo! ), there’s been a distinctly sort of old school feel to the way he writes Batman and the sort of trails he puts him through. This, perhaps, makes it ironic that the big arc to launch out of last month’s landmark Detective Comics #1000 is introducing a brand-new villain (at least to comicbook Batman), in the Arkham Knight. It’s an interesting contract, and it’s made especially exciting now when paired with the art team of Brad Walker-Andrew Hennessy-Nathan Fairbairn. This issue has the tricky job of making a convincing argument for why this character poses a threat to Batman, and it does a great job with it. This comic remains a welcome alternative to the more complex deeply-psychological arc Tom King and his collaborators have built in the main Batman title. Why It’s Cool: During the first incredibly-good arc of Livewire’s first solo ongoing title, writer Vita Ayala and their artistic collaborators Raul Allen and Patricia Martin were essentially engaged in a redemption tale that had a lot to say about what happens when seemingly-justified actions get so extreme that damage spiderwebs in a way that is unanticipated. The story was fantastic, and it really gave the new team a chance to show the audience what Livewire was made of, Livewire without her powers, support system, or deep knowledge that what she was doing was the right thing. It was great storytelling. 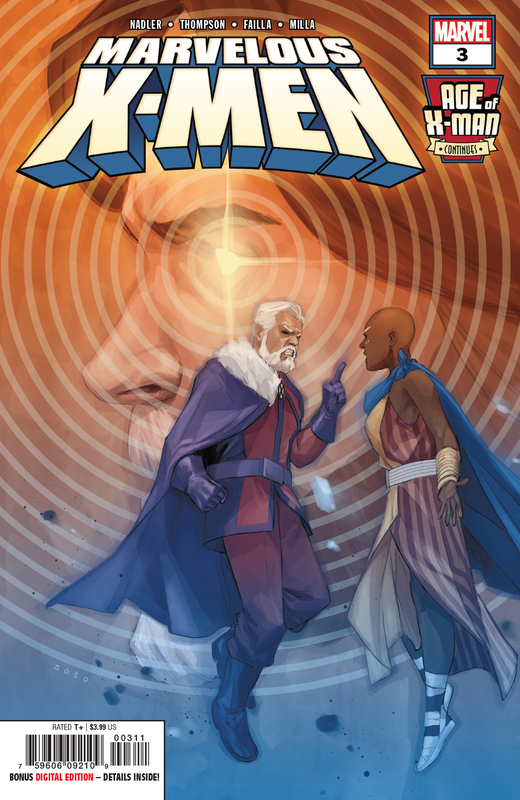 Now, Ayala is back with new artist Kano, and the book has perhaps found a different way to test the character, making it less about her sins of the past and more about how she can help the world moving forward. For all that’s changed, however, the book remains a must read. Why It’s Cool: This book has been absolutely on fire since a key pivot at the end of the last story arc, one that really changed the dynamics at play in a book I thought was maybe getting wrap up after its first 12 or 18 issues. That’s certainly off the board now, following a time jump in which the personal status quos of all the main human characters become a good deal more complicated while the world itself came under a different sort of threat. I’m a big fan of Robert Kirkman’s cliffhanger-heavy entertaining plotting. Still, I really think this book is a bit of a step forward, with Kirkman not putting all his conceptual cards on the table right at its start, as he has done in some of his earlier works. Oh, and Lorenzo De Felici’s monster designs remain among the absolute best in comics. Read this! Check back to the site later this week for reviews of Fairlady #1 and Faithless #1, as well as a Trade Rating on The Boys, and more!